Vacuums are like the magician of home appliances. You pass them over the top of some dirt and—presto—it disappears! There’s nothing magic about it, though. Whether you use a canister, stick, upright, central or robotic vacuum, the cleaning power it provides is the result of precision engineering and many parts working together to help you get the upper hand on dirt, dust and allergens. Vacuums tend to live in closets or under beds, kept out of sight until we need them. Like many appliances, it is easy to take vacuums for granted until you need them and they don’t work. A few simple steps can help ensure that your vacuum continues to make magic! Change and clean the filter: Failing to clean or change the filter might be the most common reason for low vacuum performance. It’s also one of the easiest to address. 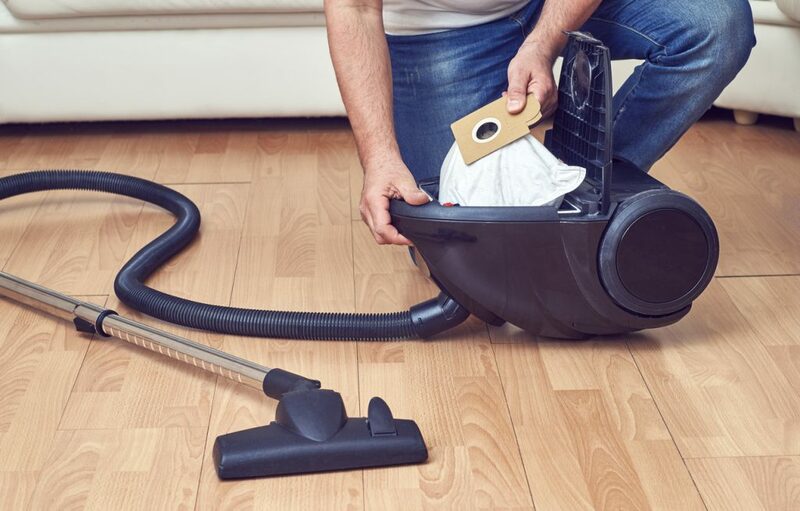 Your vacuum’s use and care manual will offer guidance on specific filter replacement, care and cleaning, but make a habit to check the filters on your vacuum regularly for dirt. If you are cleaning a filter, allow it to dry completely before returning it to the vacuum. Keep in mind that your vacuum may have more than one filter, so make sure you are caring for all of them properly. Empty the bag and canister: Some models include indicators to signal when it is time to change the bag or empty the canister. If yours doesn’t have an indicator, don’t wait until the bag or canister is overflowing. Change the bag or empty the canister when it’s one-half to two-thirds full. Clean the brush roll: A functioning brush roll is essential to dislodge dirt and allow it to be picked up by the vacuum. Check it periodically to make sure it hasn’t been wrapped up in hair or blocked by debris, which can put stress on the belt and reduce the vacuum’s performance. Replace the belt as needed: The belts on vacuums wear over time. As they do, performance diminishes. Plan to have your belt changed every two years. Check your vacuum’s use and care manual for instructions on how to change the belt, or visit an authorized service provider.